Books containing words of one syllable proliferated in the late nineteenth century as a way to teach children to read. 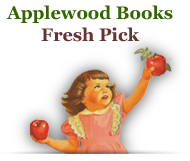 Today, these books still serve that purpose and are very popular with homeschoolers and parents as a way to promote reading. 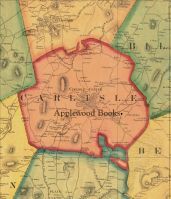 In this popular book from 1884, one-syllable words tell the history of the struggles and triumphs of the United States, touching on historic highlights from the land's sighting by Norsemen, through the times of the Pilgrims, and the Indian, Revolutionary and Civil Wars. 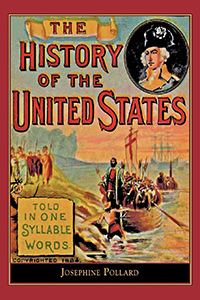 Patriotic, informative, and historical, with multi-syllable words broken up into single syllables, this children's book remains a useful educational tool for teaching American history. Author Josephine Pollard wrote several one-syllable history books for children, as well as numerous juvenile biblical stories. Her “History of the United States” includes half a dozen illustrations of key events, and can be appreciated by book-lovers and history-lovers of any age.